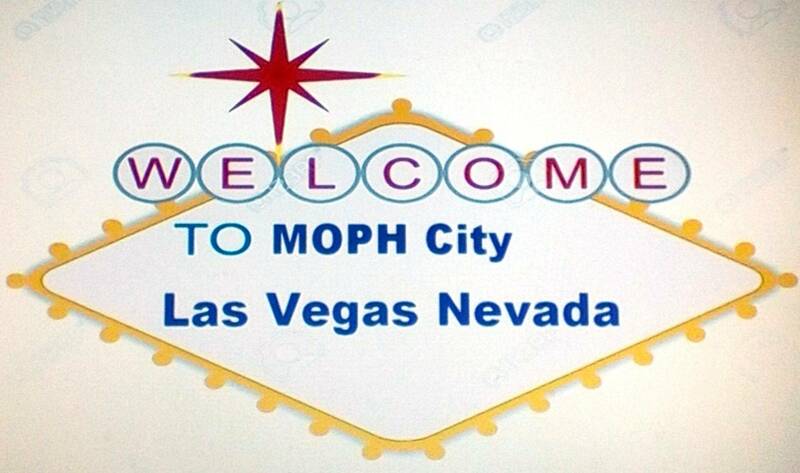 MOPH Chapter 711 Greater Las Vegas NV - commanders, officers duties. Commander’s and Officer’s duties and responsibilities for the Chapter per guideline set forth by the MOPH Bylaws and this Chapter’s Bylaws & policies. Election of Officers takes place in April each year. All Officers are to be installed in May of each year and assume their duties at that point. The Chapter year is April 1 through May 31 All officers are expected to view, and download if desired, MOPH By-Laws, Constitution and Procedures Manual, at www.purpleheart.org). The Chapter Commander will preside over the Chapter meetings, ceremonies and events with a prepared agenda. The Commander prepares the agenda, calendar of meetings, events, and programs for the year that is promulgated in January. He will ensure the Chapter has all the items needed for the meeting, ensure the place of the meeting is properly set up with the Judge Advocate as an adviser. He ensures that Vice-Commanders are calling Chapter members, ensures a monthly newsletter goes out to each member, VIP, and Dept. Officers. He makes sure all appointed positions are filled. Ensures the Chapter has a membership drive and fundraising events. Ensures the business agenda is only about 1½ hours long, and that all members know where the meetings are held. Ensures all Chapter Officers are knowledgeable in their positions. Ensures the reports to National are completed. Approves Chapter warrants prepared by the Finance Officer for appropriation of money made and passed at a regular meeting of the Chapter, signs each check issued by the Chapter, and performs such other duties as the laws of the Corporation may require. The Commander shall demonstrate leadership and diplomacy at all times and attends Chapter, Department, and National meetings and events when possible. He/she should be knowledgeable about the Organization and the governing documents as well as the required reports to National and the Dept. The Commander should have a computer for e-mails, a printer for letters, reports and communication. He/she shall ensure the Chapter is non-political, non-bias, non-religious, non-self-serving, and is fair in every way possible. As a MOPH organization does believe this is proper, but does respect God and our Founding Fathers in every way and the principals thereof. We as an organization shall show no disrespect nor does it intend to offend others in their beliefs. The Commander shall ensure there is an annual budget for March of each year and has the Jr. Vice and Adjutant conducts the election of new Officers in April of each year and installed in May. Immediately after entering his office, he appoints an Adjutant, Service Officer, Welfare Officer, Americanism Officer, Historian, Chaplain and all other Chapter officers and committees not otherwise provided for. Further, he may remove these officers and committees at his pleasure. Our Chapter Sr. Vice Commander is to assist the Commander, provide a membership drive for the Chapter, and attend events that might lead to new members. Assist in National, Department, and Chapter events and programs. Perform other duties that the Commander might assign. Call members of the Chapter to encourage participation in meetings and oversees an annual luncheon. The Sr. Vice is the overseer of members and their needs. If the Commander is absent he/she will preside as Commander at the meeting. The Sr. Vice is to keep the Commander informed on the membership and Chapter business. The Sr. Vice-Commander may be assigned other duties by the Commander. Our Chapter Jr. Vice Commander is to assist the Commander and Sr. Vice Commander. He/she will provide membership activities if possible and assist in the Chapter programs. He/she shall implement and oversee all Chapter fundraising events and the two major ones each year by the Chapter. Participate as the oversight authority in the Chapter annual nomination and election of Officers with the Chapter Adjutant. If the Commander and Sr. Vice Commander are absent, the Jr. Vice Commander will preside as Commander at the meeting. In the same, the Jr. Vice is to keep the Commander informed on all Chapter business. The Jr. Vice may be assigned other duties by the Commander. The Finance Officer is responsible for the funds, securities, vouchers, bills, receipts, investments, bookkeeping, other property of the Chapter, and “Warrants” for the Chapter. The Finance Officer is responsible to the Jr. Vice Commander and members of the Chapter for a “Monthly Finance Report”. All Chapter monies paid out must have the proper “Warrant” drawn by the Adjutant and approved by the Commander. Checks issued for the Chapter shall have two signatures for accountability. He shall keep an active account of each active member and perform such other duties as the laws of the Corporation may require. The Finance Officer must complete the annual financial report covering the period of May 1 through April 30. Three copies are required for 1) Chapter records, 2) Department. Finance Officer (due by May 31), 3) National Adjutant or Finance Officer (due by June 30). The Finance Officer shall prepare a Chapter Budget for the membership to be reviewed by the Chapter Officers and presented to the members prior to March of each year. The Finance Officer, if not reelected, must deliver all monies, books, financial statements, and other property of the Chapter to his/her successor or the Chapter Jr. Vice Commander. The Finance Officer ensures that all check-signing officers sign necessary bank sign forms. The Finance Officer will give a summary of the accounts at the designated Officers meeting. The Judge Advocate shall give the Commander such legal and parliamentary assistance as he may require and perform such other duties incident to the office. He or she ensures the meeting follows a business agenda, is timely, and the set up and setting meets MOPH standards. The Judge Advocate should have a business background and/or legal background if possible. The Judge Advocate is responsible to the Commander for all legal issues in or to the Chapter. The Judge Advocate is to assist members of the Chapter if possible. The Chapter Trustees shall, at least semi-annually, in June and December, audit the accounts of the Chapter, make a report to the Chapter, and perform such other duties as may be required of them. Refer to the duties of the Adjutant and Finance Officer when auditing those officer’s records including membership information, roster, minutes, finance records. The Chapter has three trustees, one elected every year for a three-year term. The Sergeant-At-Arms takes his/her post at the entrance of the meeting room. He/she greets each member and ensures the person is a member or invited guest with the approval of the Commander to attend. He shall be responsible for the American and MOPH flags and prior to each meeting shall secure the room, post the flags, and set-up the missing member chair. He/she makes sure each person signs in on the log sheet provided by the Adjutant of the Chapter and ensures the Adjutant receives that log at the end of the meeting. When called upon by the Commander opens the meeting with the Pledge of Allegiance. Ensures the meeting is not disturbed or that a member does not get out of control and disrupt the meeting. By direction of the Commander, removes a disruptive person. After the end of the meeting he secures all Chapter property. The Chapter colors may be locked in a room or taken home by the Sergeant-At-Arms for safekeeping. At the close of the meeting when called upon by the Commander, leads all of the members in a render salute to the American flag. Adjutant - Chaplain - Welfare Officer - Historian - Americanism Officer – Service Officer – Executive Committeeman – Alternate Executive Committeeman, and other Chairpersons as needed. The Chapter Adjutant reports to the Chapter Commander and oversees the operation of the Chapter and prepares communications as directed. A record of all the proceedings (i.e. Minutes) of each meeting of the Chapter after the same shall have been corrected and/or approved, plus an Attendance Log. These shall be provided to the Historian after one year. An order file in which shall be kept all orders or circulars issued by the National Commander, the Department Commander or the Chapter Commander. A roll of departed Patriots. Such other documents or papers as required by the Order or any legal jurisdiction. Attest by his signature all actions of the Chapter; draw all warrants on the Finance Officer, to be approved by the Commander, prepare all reports and returns required of him. Complete the chapter Election Report forms, as furnished by the National adjutant, within twenty-four hours after the election and promptly forward a copy directly to the National Adjutant and the Department adjutant. He shall keep an active account of each active member, notify all active members who are in arrears, perform such other duties as shall be required of him by the Bylaws of the Corporation and transfer without delay to his successor all books, papers and other property of the Chapter in his possession or under his control. Provide a Chapter Newsletter (monthly as possible) and insures distribution to members, Chapter VIP's, Dept. Officers, and supporters as directed by the Commander. The Adjutant is to follow the newsletter policy of the Chapter. No political or religious articles. Maintain the Chapter roster and changes as required by National. Provide correspondence as needed or requested by the Commander or Vice-Commanders. Provides copies and information on VA and Veterans affairs and other interest to the members as possible. Assist the Junior Vice-Commander with the election of Officers. Assist with applications for membership and handles all transfers of Chapter members to the National Membership Dept. Provide the paper, envelopes, and labels for the Chapter communications and newsletter plus stamps and printer ink. He will be reimbursed from the Chapter for same. The Historian shall compile a brief history of the activities of the Chapter during his term of office, to be kept as a permanent record of the Chapter, and shall perform such other duties as his office may require of the Commander may direct. He shall keep letters, newsletters, and other Chapter history and help the Chapter Commander in his/her annual report of events and meetings. Each year in March to April they need to meet and review the history and important events of the chapter. It is vital that the Chapter have and keeps a history on what they do and have done for new members and information to pass on through time. The Historian should have a history album or portfolio and a photo album for the Chapter members to view at each meeting. The Chaplain shall be responsible for the opening and closing prayers at each meeting, assist in or take charge of burial ceremonies for departed Patriots, and perform such other duties requested of him by the Commander. He shall send appropriate get well or such cards to members as required. In the absence of the Chapter Commander, Chapter Senior Vice-Commander, or Chapter Junior Vice Commander, the Executive Committeeman, or in his absence, the Alternate Executive Committeeman, shall represent the Chapter on the Department Executive Committee. Assist in the promotion of a program of “positive Americanism” and shall cooperate with other civic and patriotic organizations having worthy objectives; he shall assist the Chapter in the commemoration of all national patriotic holidays by preserving and strengthening comradeship and patriotism among its members. Encourage the display of the American Flag on all appropriate holidays and perform such other duties as his office may require or the Commander may direct. Submit a report to the department and National Americanism Officers no later than June 15 of each year. Provide at the monthly meeting or by newsletter a patriotic message or appropriate message for that month. Like a quote by Gen. George Washington or another patriot or a short message for Veterans Day or Purple Heart Day. The service Officer shall advise and assist veterans and their dependents in the technical preparation of their claims for benefits from any governmental agency, and in securing suitable employment; keep himself informed of the laws and rules pertaining to the rights and benefits of the veterans and their families, protect and keep confidential the service records held under his jurisdiction; make periodic reports of his activities to the Chapter; and coordinate his activities with Veteran Service Officer (VSO) and the National Service Director. The Welfare Officer assists the Veterans Administration Voluntary Service (VAVS) representative at the VAMC and local VA Clinics. Keep informed as to public and private agencies and organizations which can offer temporary or permanent assistance to needs members or veterans and their families, and help such persons in securing proper and adequate assistance. Assist the Chapter whenever possible in the sale of Violas as a source of welfare funds, and performs such other duties as the Commander may direct. Make periodic reports of the Chapter activities to the Department and National Welfare Officers, and provide them with written reports no later than June 15 of each year. This Chairman implements the National ROTC/JROTC program wherein MOPH recognizes outstanding student leadership qualities by presenting an award to the recipient at his/her school. These duties and responsibilities are outlined in MOPH National and Chapter Bylaws. The Chapter Commander may add or modify same. 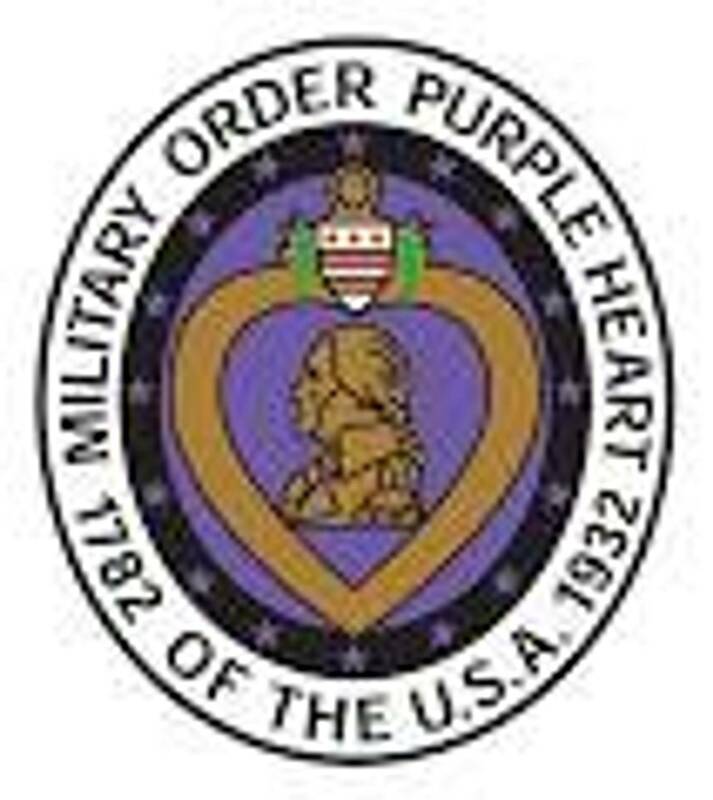 All officers are expected to view, and download if desired, MOPH By-Laws, Constitution and Procedures Manual, at www.purpleheart.org. * A member may be an elected Officer in the Chapter and hold an appointed position as well in the Chapter. No member should hold more than two positions in the Chapter. All of the elected Officers are on the Executive Committee (Finance & Advisors) for the Chapter and report to the Commanders. The Executive Committee meets every other month as assigned by and scheduled by the Commander.